New Migration Trends in China. Over the last generation, the greatest wave of internal migration in human history has transformed China’s cities, and with it the global economy. Although estimates vary, studies report that up to a staggering 103 million urban migrants currently exist in China. This number could increase to 243 million by 2025 – catapulting the urban population to nearly 1 billion and dramatically shifting city demographics. Already, estimates show that migrant workers compose nearly 40% of Shanghai proper’s 23 million people. Critics of Chinese migration, most notably from the West, have historically been plenty. These stem primarily from the Chinese government’s tendency to use the hukou system (a permanent residence registration system that dates back to ancient China) to restrict internal movement by denying rural migrants certain amenities within its coastal cities. For example, children born to rurally registered parents will themselves count as ‘rural’, even if their parents migrated years before and they were born in urban centers. Like their parents, their lack of a hukou for where they live will make it more difficult for them to get a driver’s license, or even purchase a house and car. Escaping this cycle is, for most, nearly impossible. All evidence shows that these trends are unlikely to change anytime soon. One reason is that China’s growing factories still benefit by employing large numbers of cheap migrants – a supply that the current system guarantees. Another significant force is the cities’ lack of educational resources for non-locals. In Shanghai, migrant children are eligible to attend local primary and middle schools, but are denied access to high schools. In lieu, some of the smartest migrant children attend vocational, or trade, schools. Although Premier Wen Jiabao criticized the hukou system on March 5th of this year, promising that “migrant workers will become permanent urban residents in an orderly manner”, we all know how reliable these types of governmental promises are. But here’s the catch: this year, for the first time in nearly three decades of rising coastal migration, studies show that the inland population is starting to work closer to home. This is a big change, and potentially a sign that recent floods of government investment in the Western interior are working. As inland cities like Sichuan’s capital, Chengdu, improve their infrastructure, many Chinese firms have begun to transfer some manufacturing away from Eastern cities in search of cheaper operating costs. This price disparity reflects both initial signs of development in the West, as well as potential signs of “over-development” in the East, leading to wage costs above the developing country norm. Another potential cause is the recent, 2008-induced downturn in European demand for coastal produced exports. For their part, provincial officials have begun what would have ten years been unthinkable: luring migrant workers home. The Chinese government recently abolished agricultural taxes and began subsidizing rural areas. In Chongqing, a photo was even published of policemen carrying bags for migrant workers who were returning home for the New Year holiday. As domestic demand begins to account for progressively larger shares of Chinese GDP each year, firms do not necessarily need to make their homes close to a port anymore. The result is a steady influx of new factories in the interior. Some scholars associated with the Chinese Communist Party have argued that this pattern additionally reflects shifts in China’s socio-political infrastructure. 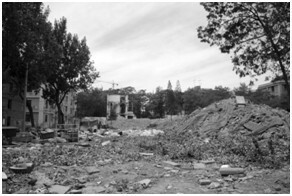 For example, some have posited that this reaction represents China’s attempt to avoid the phenomenon of “Latin Americanization” – that is, “highly unequal megacities and their attendant crime, slums and social instability” (Wallace 2009). This might seem inconsistent with typical development patterns though, as emerging economies traditionally give preferential treatment to cities. Others have argued that this trend is merely the result of changing demographics within Chinese society: according to UN estimates, the number of 15-29 year olds in China peaked in 2011. This means that the population will only continue to age from this point onwards, reducing the supply of young workers even within the country’s innermost provinces. Regardless of the reasons behind it, China’s new, changing patterns of migration will assuredly influence the country’s development profoundly over the next few years. Already since 2010, Chongqing has allotted full social benefits to nearly 3 million migrants who had previously been categorized as immigrants from the hinterlands. Chengdu has announced plans to repeal amenities-related barriers to migration within the next year. In this way, migrants in urban areas will be able to enjoy the same social benefits as registered city-dwellers. Access to urban schools in particular will allow them to bring their children with them, in place of the current practice of leaving them with grandparents or other relatives in the village. Although these omens point to hope for China’s glaring regional imbalances, however, it remains to be seen how these added financial burdens will be carried by local governments. In 2011, many of China’s interior provincial areas reported GDP growth exceeding 15% (Chengdu reported a healthy 15.2%, while Chongqing clocked in at 16.4%). Once this growth slows down, will government officials display the same zeal for social reform? We’ll have to wait and see. Since the beginning of reform and opening up in the late 1970s, China has consistently been in the world’s eye as a major tourist destination. Rather than convince you with words, we’ll let the figures do the talking: China is the third most visited country in the world; in 2010, 55.98 million overseas tourists made their way to the Middle Kingdom; total income from inbound tourists has reached yearly estimates of 777 billion Yuan. Although at China Brain we pride ourselves on not being overly superstitious, we thought it interesting to point out that, in Chinese culture, the number 7 symbolizes “togetherness” and is a lucky number for relationships. It is also notably one of the rare numbers that is considered harmonious by both China and the West. We’ll leave it to the readers to draw their own further conclusions. Despite sustained development in the inbound sector, however, the number of tourists heading to China each year continues, in fact, to be outpaced by those heading out. Over the last few years, Chinese outbound tourism has been way ahead in comparison with inbound tourist arrivals – simply put growth is absolutely phenomenal. 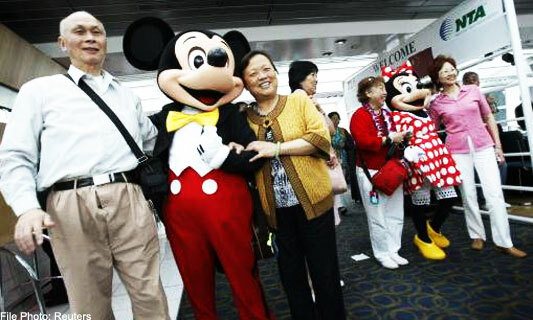 During the 2004-2008 period, the total number of annual Chinese outbound tourists grew by 12% CAGR to reach 45 million. In 2011, a research report published by RNCOS estimated that nearly 61.9 million Chinese crossed the border to see the world. The China National Tourism Administration (CNTA) predicts that by 2015 100 million travelers spending 100 billion US$ on outbound tourism will turn China into the world’s #1 international tourism source market. Ongoing government programs and an increasing number of international agreements between Asian countries and the West, coupled with Internet penetration and incessant economic development, suggest that this trend will only continue in the near future. For its part, the Chinese government has been active in signing bilateral agreements with neighboring countries and relaxing visa restrictions, making it easier than ever for Chinese citizens to explore life outside the Great Wall. Although these efforts have been mirrored by foreign governments (the U.S. was among the last Western countries in obtaining Approved Destination Status (ADS) in December 2007), there is still room for improvement. It remains especially difficult for some independent travelers to obtain visa permission for travel, leaving little choice but to engage the often-expensive services of an established travel agency. Who are these travelers, what do they expect, and what does this mean for the rest of the world? For starters, rising Chinese outbound tourism will only continue to facilitate a marked Chinese global presence – one that will become a much firmer reality for many in the West, as those who have fueled the export-driven Chinese economy for years finally ‘meet their makers’. As the Chinese tourism industry expands beyond leisure vacations to include industrial technology and cultural tourism, medical tourism and investment tourism – areas of tourism that are currently still undeveloped – how will the rest of the world react? Many studies argue that rising outbound tourism may be a key factor in solving what has often been a turbulent relationship between China and the rest of the world. Rather than occurring at the intergovernmental level, these authors believe that successful cooperation between the people of China and those of the West, Asia and even India will be founded upon the construction of mutual social and cultural bridges. This type of dissemination usually works both ways, and as a whole generation of Chinese teens mature in a country distinctly more open to the world than their parents’ ever was, we remain optimistic of future collaboration. Could Mark Zuckerberg’s March 2012 visit to China be the first of many? It is still too early to predict. Regardless, the question of the moment for American tourism and hospitality practitioners is increasingly becoming: What kind of services should we supply to Chinese tourists? Initial studies published in Tourism Management (Vol. 32, Issue 4, 2011) have yielded interesting results. For instance, findings suggest that “the major benefits sought by Chinese visitors in a pleasure trip include scenic beauty, safety, famous attractions, different cultures, and services in hotels and restaurants among others” (Yu and Weiler 2001). Mainland tourists also seem to prefer package tours involving multiple destination countries to a single-destination package. This reasoning stems from the common belief that, with a package tour, you are getting a better bang for your quai. As for shopping, analysts found that Chinese tourists are most inclined towards purchasing electronics and famous brand-name items, often as gifts for relatives. The most common complaints registered by Chinese travelers targeted the lack of certain amenities at Western destinations, which would typically be found in China. Visitors to hotels in the US frequently criticized the lack of hot drinking water and Chinese tea, as well as the absence of one-use toiletries (e.g. toothpaste, toothbrush, comb) that Chinese hotels generally provide. Concerning food and restaurants, one study’s participants found that Western food was either too sweet or unhealthy (fried food and high calories), or it surpassed their approximate food budgets of 10-30 US$ per day. Almost every participant expressed a desire for more readily available, authentic Chinese food. While the phenomenon of Chinese outbound tourism is still in its infancy, Chinese visitors to the West are rapidly developing into a large and sophisticated group of consumers – one for whom travel will only continue to become more affordable as the Chinese government allows further re-evaluation of the Yuan. Satisfying and meeting these tourists’ needs, as well as treating them with the cultural understanding and respect that they expect, will be a crucial task for Western marketers in the years to come. A better understanding of Chinese outbound tourists and their intrinsic cultural values will result in a more pleasant stay for all those involved. The accusation of being 'behind the curve' has dogged the current Chinese administration since it took office in 2002. The announcement of a reserve requirement cut at the weekend isn't likely to weaken that charge. A reserve cut had been expected since mid-April. Still, the government failed to act, despite mounting evidence from the provinces that industry was really struggling in the face of anemic global demand and Beijing's own anti-inflation policies. That rates moved a day after a set of dismal economic data reports highlights again the State Council's inability to reach consensus on policy decisions, and its tendecy to allow problems to build in the system until a set of bad news prompts a kneejerk -- and often overly-aggressive --response. It has been five years since the collapse of the U.S. housing market, and China has had a relatively good crisis. The government's aggressive CNY4 trillion response helped compensate for lost external demand, and the economy averaged 9.6% growth between 2008 and last year. That stimulus, announced in November 2008, was an uncharacteristically bold response to a once-in-a-lifetime systemic crisis that threatened the global financial system. Since then, it has been business as usual; responding to inflation only when prices have surged to the point of widespread public anger and now tentatively easing policy as private sector firms struggle for survival amid soaring curbside interest rates and anemic domestic demand. China's current slowdown was engineered by government policy designed to tackle rising inflation and deflate nationwide property bubbles. The rationale has always been that the government's overwhelming control of the levers of the economy meant it could restimulate activity just as easily as it slowed it, and that underpinned this year's confident 8%-plus GDP forecasts. Moves to cut the reserve requirement in December and February boosted confidence that the central government had finally let go of its worries about inflation, and was moving to kickstart growth as price pressures faded and as euro-induced panic weighed on global risk sentiment. The weakness seen in January-February -- and, to a certain extent, March data -- was written off as distortions created by the Chinese New Year holiday. But the weeks following the end of the holiday season have brought little respite. If anything, evidence mounted pointing to an industrial base struggling in the face of policies designed to keep prices and speculation in check. That it has gone on too long is reflected in business surveys, particularly those produced by HSBC/Markit, which tend to focus on smaller, privately-held firms that exist at the mercy of the unregulated underground financing system. The index remained below the 50-mark separating expansion from contraction for a sixth straight month in April. More worryingly, the survey indicated that companies are shedding jobs at the fastest rate in 37-months. The government hasn't been sitting on its hands in recent weeks. The People's Bank of China has injected around CNY400 billion into the interbank market via open market operations since the start of the year, while Beijing has announced key reforms, including the start of a private finance program in Wenzhou, the eastern-seaboard city which has arguably suffered most from the domestic credit crunch. But it has been negligent in heeding calls from industry for a more aggressive pace of policy easing, including access to credit. 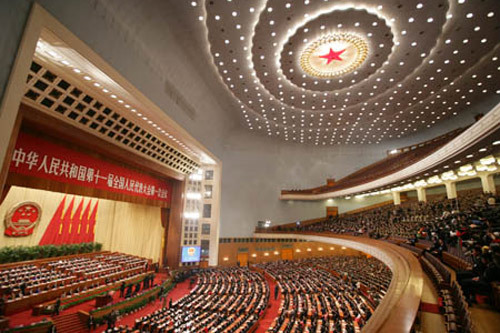 While the State Council has debated the economy's need for looser policy and struggled to reach consensus on action -- opting for relative inaction instead -- industry has suffered. This culminated with the release of economic data reports at the end of last week. Trade, industrial output, investment and retail sales growth all fell short of market expectations, triggering a wave of analyst downgrades for growth this quarter and this year. But the myth of Beijing's apparent insouciance was betrayed on Saturday evening, when the PBOC announced the reserve requirement cut. A cut had been expected ever since the release of first quarter GDP in mid-April. That it followed the miserable April data reports signaled a degree of panic within the establishment, and suggested a realization that officials waited too late to heed industry's call. The reserve cut has been followed by the predictable flood of analyst reports, instructing clients to expect more loosening moves in the weeks and months ahead. They more than echoed the reports following the December and February cuts, despite the weeks of inactivity that followed. Inflation now appears to be firmly under control, while global economic conditions only appear to be worsening, even without the threat of a partial unraveling of the European Union. 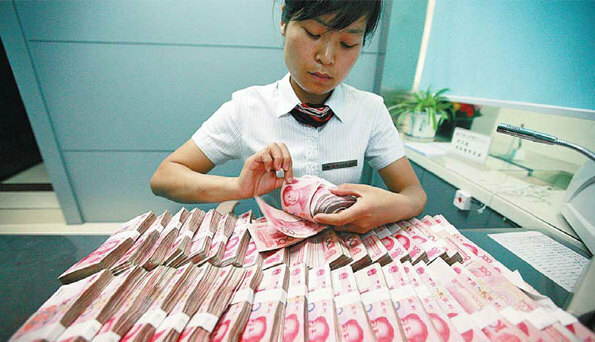 Domestically, weak bank lending activity points to inadequate credit, but also falling demand for loans -- a situation that will require far more than the CNY400 billion that will be released into the system by this week's reserve cut. The reserve cut suggests the government is now suitably spooked about the economy and onside, ready to act to support the domestic economy and achieve 8% growth this year. But the central government will need to follow up Saturday's move with more policy loosening, including taking advantage of its relatively comfortable fiscal position, if investors -- and corporate officers -- are going to avoid the sense that it's deja vu all over again. China Brain Predicts, Part One. Trying to predict anything in life is often a futile exercise. Trying to predict anything related to China even more so, especially in light of the events that the first part of 2012 has already witnessed. Disregarding all of this, and some common sense besides, China Brain has put down some predictions for what the remainder of 2012 may hold. Some of these are serious, some of them less so, but all are intended to create some lively debate and discussion. Please do let us know what you think. More to come as and when we feel inspired. 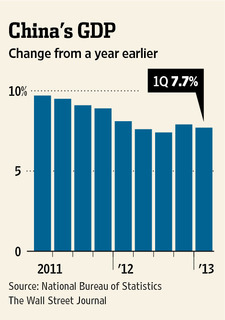 China's GDP growth for the whole of 2012 will come in at a healthy 8.0%. Many doom-laden pieces have been written on the negative impact of Europe's continuing woes on China. Although we are concerned that the Continent is being rocked to the core by a combination of economic stagnation and political upheaval (most recently in France and Greece), we would point out that only 20% of China`s exports head to Europe, that signs of recovery in the US are particularly encouraging, and that many if not most emerging markets are powering ahead. Any renewed moves towards breaking up the Eurozone which have been hinted at by the new French President, could impact our prediction, but we are quietly confident that Angela Merkel will hold fast, as will the Chinese consumer, who is starting to demonstrate an important willingness to spend more at home and abroad. Knowing how much the government likes both round numbers and the number 8, we're quietly confident that there will be no major surprises on this one. The handover of power will be peaceful in Beijing but bloody elsewhere. With the transition fast approaching and the Party apparently locked in battles of an ideological nature, we remain optimistic that President Hu and Prime Minister Wen will make their exits in relative and appropriate harmony. We are not going to predict, however, how their legacy will be viewed in years to come. At such a critical juncture in China`s history, when Party eyes are focused on machinations in the capital we are likely to see a re-flaring of trouble in the country`s restive regions and a potentially very severe crackdown by the country`s new leaders who will want to be seen as no pushovers. The number of Chinese dissidents who gain entry into the US Embassy in Beijing: 0. The number who will try: more than 10. Since the Bo Xilai / Wang Lijun ‘incident’ and the remarkable escape of the former prisoner known as CGC, we expect the US embassy to come under increasing pressure to take in more dissidents. We find it highly unlikely that any of them will actually be let in. Two reasons: the US won`t want to risk jeopardizing its relationship with China any further than it already has done by continually providing safe harbor for opponents of the Chinese government. Perhaps more importantly, we can expect a rather large local security presence keeping a close eye on the gate 24/7 from now on. Chinese outbound investment will surpass last year`s figure of US$60 billion. We're still waiting for the mega deals to start rolling in – well the bankers are – but we expect to see a continuation of Chinese investments characterized by mid-sized acquisitions and large greenfield investments. As mentioned previously, the world is increasingly welcoming Chinese capital, except when it gets close to sectors related to national security. But, from a pragmatic perspective, beggars can no longer afford to be choosers. We boldly predict at least one major (US$10 billion or more) deal in the remainder of the year, which will no doubt get held up in red tape for at least another 12 months after being announced. Talking of deals…China will approve the Google / Motorola deal. We`re sticking our necks out on this one but if rumours are right that Google has offered the Motorola handset business to Huawei as something of a sweetener, we see little reason for the government to hold up the deal. The impact of a negative decision on China`s ability to pull off deals around the world could also be somewhat cataclysmic. China will fail to beat its 2008 gold medal haul at the London Olympics. Four years ago, China's rise to the international stage was completed by its talented and young (in some cases, a little too young) athletes, who whipped local crowds into a nationalistic fervor via their haul of 51 gold medals. China Brain expects things to be a lot closer at the top of the medal table this time around. We would be surprised if China took more than 45 golds. 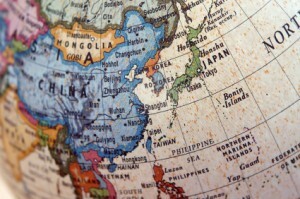 Chinese people will make over a 100 million overseas trips for the first time. As incomes rise and government policies enable more foreign travel, more and more of the population will step outside of the nation's borders for the first time. The impact on popular destinations will be at once exciting and terrifying. Profits will be up, but the thought of another 1 billion Chinese visiting the same places in years to come may push tourists from other nations to visit these sites sooner rather than later. Queuing at Disneyland might never be the same again; new queues will form outside luxury goods stores in Paris, New York, Milan and other cities famous for fashion. That's it for now. We'll check in at the end of the year on how we did. Let us know if you think we're right, wrong, or wildly off the mark. Feel free to suggest other predictions too. Despite the media’s best attempts to whip us up into a frenzy of fear and loathing, the first serious wave of Chinese outbound investment that occurred felt rather distant to most people in the West. While some people were vaguely aware that the ThinkPad laptop had lost its IBM branding and had morphed into something called a Lenovo, most people were relatively unconcerned that the hungry Dragon was acquiring a serious number of mines and oil fields. After all, unless you were working for a company directly impacted, the bearing of these deals on peoples' daily lives was negligible. The most recent wave of M&A, sparked off by the financial crisis, feels distinctly different. As asset prices across all industries remain depressed, savvy Chinese acquirers are picking up distressed companies that have much less choice in who they sell themselves to or partner with. For many, it’s work with the Chinese or fold altogether. One senses that the mood is starting to become a bit tense. While local and national governments polish off their shiny new Mandarin investment brochures, looking to the East for investments into greenfield and brownfield sites as well as help with new infrastructure projects, some of their citizens feel decidedly less comfortable about the Chinese buying spree, especially when it comes to treasured national brands. While Volvo slipped into bed relatively quietly with Geely, and the Swedes didn’t seem too overtly bothered by the deal, rumblings are afoot elsewhere. China Brain suspects that the straw (or wheat in this case) that breaks the camel’s back has just been announced. That is, of course the fact that Bright Foods, a behemoth Chinese food company, has set the British breakfast table in its sights – in the form of the brand Weetabix. Apparently one billion pounds is the offer. Dating back to 1932, Weetabix was family owned for 72 years before eventually being snapped up by a private equity firm. Now, one wonders if the fact that this private equity firm is Texan was widely reported in the British press at the time. Or is the fact that a Chinese company is buying a beloved British brand far more newsworthy? Whatever the case, this is another example of ordinary people really feeling the impact of Chinese companies’ increasing adventurousness on the global stage, as their balance sheets remain strong and loans are relatively easy to come by. But one can see that some of the new deals are ones that the man on the street might object to a little bit more than previous ones that had no noticeable impact on their daily lives. In Britain, a Chinese retailer has picked up the royal tailor Gieves and Hawkes, while just last month in New Zealand, the government approved an application by the Shanghai Pengxin Group to buy 16 dairy farms which are about as close to royalty as you can get in New Zealand.